We have all read and heard and watched exercise and medical professionals espouse the benefits of exercise. We have all heard about how being fit reduces your risk of many diseases – heart, brain, musculoskeletal, etc – and that the sooner you get to it, the better off you’ll be. But what about getting to it later, in older age? Then it assessed for mobility. If there’s one thing my personal training clients of later years fear the most, besides dying in pain, it is losing independence. And most of the training I do with my elderly clients – and most of mine are, average age being mid-60s – is to enable them more mobility, safely. We do a lot of posture work to help maintain upper and lower body core strength. Thus, rows and pull downs are more important for the aging client than are bench presses and push ups. Why? Because if you can hold your head up higher, or at least prevent it from dropping down lower, that takes stress off the low back; and taking stress off the low back enables better core control at the hips and lower extremities. And that reduces your risk of falling or disability. Then I focus on lower body strength. If they can safely and comfortably do squats and lunges, great. If not, I do lots of wall squats, without and with a stability ball on their back. And I’m not a purist here – I do knee extensions for the quads. Yes, it’s ‘open chain’ and can be bad for certain knee problems. 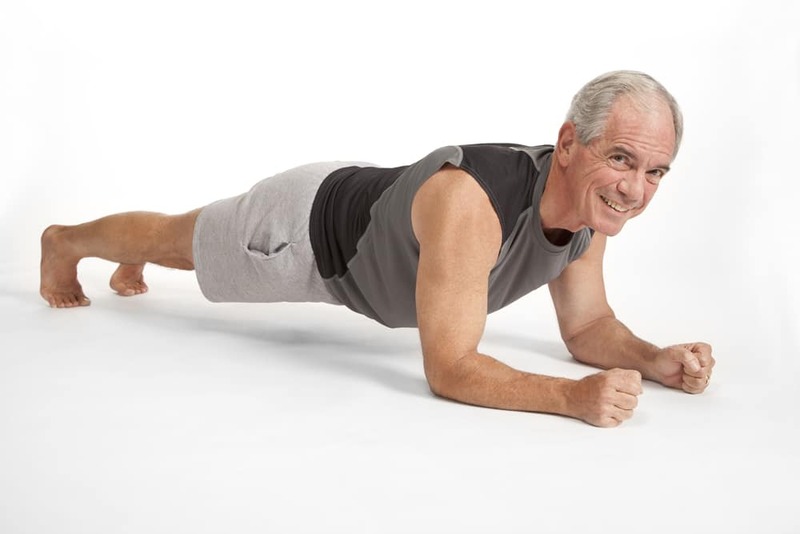 But when you have arthritis of the knees or hips, or even low back problems, they still work; they strengthen the one muscle that is implicated in many aging-related conditions. 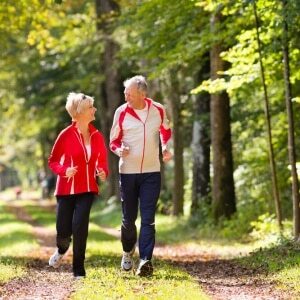 They enable the painful to do some of the daily activities that might reduce function overall, like navigate steps, get up from and down to a chair or toilet seat, or plain old walk around the house, yard, or store. Quadriceps by whatever method are life-savers! Third, I focus a lot on calf strength. Those little muscles we so admire in sprinting and jumping athletes are so important in gait that to not focus on them is criminal, for trainers at least. Heel raises from the floor can progress to doing them from a 2 x 4 or a step. Proceed with caution as these muscles can also tear or create tightness that can really impair function. 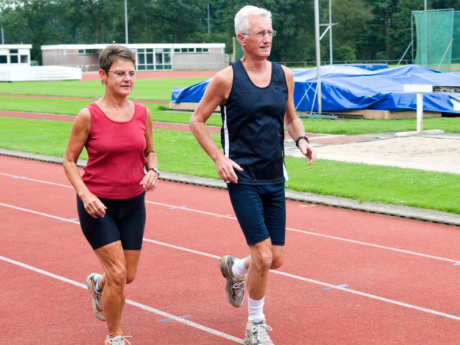 And in older folks, doing too much calf work might actually lead to Achilles tendon strains. With Achilles tears more common in older athletes, doing these exercises can be preventive but doing too many could be contributory. Finally, balance work. There are thousands of tricks in the book but any trainer worth his/her weight can come up with simple ones and progress them accordingly to heighten the nervous system’s balance alert systems. I am conscious of safety, so as an exercise’s difficulty escalates, I put the client near a wall, or solid upright or even put a gait-strap of sorts around the hips so that I can grab them and pull them to a safer base. When all is said and done, though, it all comes back to mobility. Mobility with stability. And probably the one thing that older adults can do for themselves without paying me the big bucks is….WALK. It engages all the muscles I work on here at the gym, and its benefits are beyond musculoskeletal.